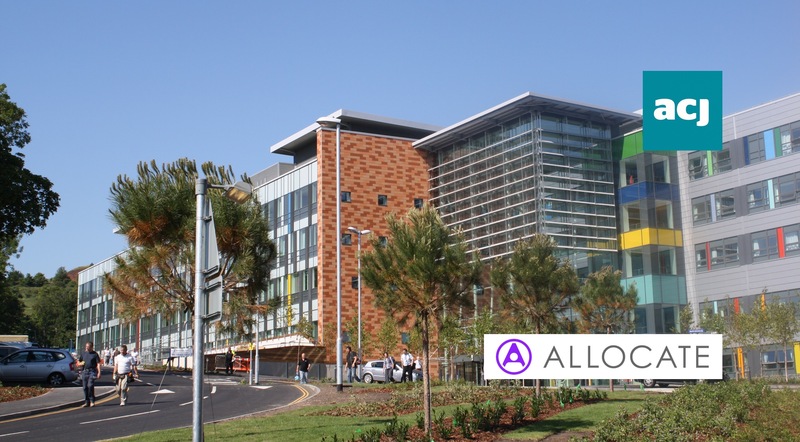 Portsmouth Hospitals NHS Trust has revealed plans to roll out a new rostering system from British software company, Allocate, which will save approximately 600 hours per month on workforce management. The announcement forms part of the trust’s digital strategy to replace disparate ways of working, achieve real-time visibility into the working practices of all its staff as well as improve the work-life balance of its workforce. Following a rigorous tender process, which saw the Trust review seven workforce and resource planning software providers, Allocate’s e-rostering software HealthRoster, proved the most competitive. Its interoperability, ensuring it is able to link with other core systems, proved to be a top consideration as well as functionality and cost. The solution is used by NHS organisations, care homes, the independent sector as well as some of the largest healthcare providers globally. Portsmouth Hospitals NHS Trust’s vision is to use the system to roster and plan its 7,000 staff, 95 per cent of which work at Queen Alexandra Hospital. Around 150 different rosters are created in the hospital, with each four-week roster usually taking senior nurses 7 to 8 hours to complete. With the new system, the trust anticipates it will take just 1 to 2 hours, delivering significant time savings. Tom Weeks, Workforce Systems Implementation Manager at Portsmouth Hospitals NHS Trust, said: “Our disparate ways of working meant we lacked the visibility, intelligence and interoperability required to create up-to-date and accurate staff rosters – and in advance too. And, in any NHS organisation, this is critical. What’s more, the e-rostering system can integrate with the trust’s temporary and seasonal staff system, and its internal staff database. The latter is a critical requirement for Portsmouth Hospitals NHS Trust due to the numerous changes each month from staff departures and new hires through to changing roles and responsibilities. It needed a system that could automatically replicate these changes, therefore saving the several minutes it currently takes to update one single transaction. HealthRoster will be complemented with Allocate’s Me App, an easy-to-use app which enables staff to interact with the rostering system from their mobile phone. They can check their own and their team’s rosters, leave and study information on the move as well as book temporary shifts or submit availability to work more shifts. Hugh concludes: “Having an organisation like Portsmouth Hospitals NHS Trust, with such forward-thinking leaders, select Allocate is a real testament, not only to our technology and service but most importantly to the achievements that our customers have demonstrated in using that technology. We really welcome the team at Portsmouth to our community and look forward to working side-by-side to help them achieve their aspirations and goals." HealthRoster will be implemented in two phases. The first will encompass all nursing staff followed by corporate staff such as corporate and administration. The second will include medical staff, starting with its junior doctors.